Here at IFSA we’re starting to renew our forestry education focus. We will carry out surveys and organize workshops over the next few months to gain a better understanding of your school situations and desired direction. 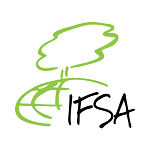 IFSA advocates for student involvement in international policy processes to improve forestry education globally. But we need YOUR help to succeed. Please fill in this first survey to assist us and you! If possible, please also distribute this to your friends, colleagues and anyone else; IFSA or non-IFSA members; we simply hope you can help to spread the word!